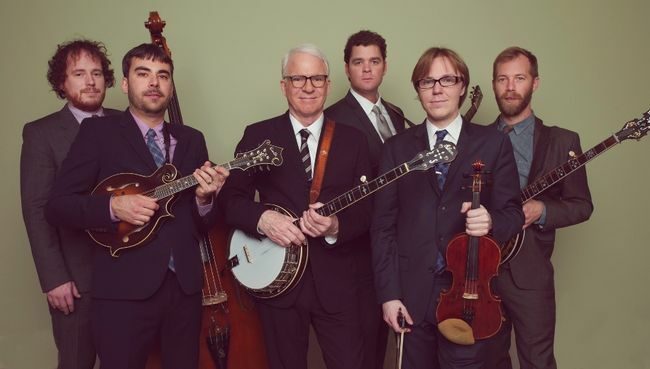 Steve Martin and The Steep Canyon Rangers have announced the dates for their 2012 tour in honor of their chart-topping bluegrass album, Rare Bird Alert. Released on Rounder Records, Rare Bird Alert features guest vocals by Paul McCartney and the Dixie Chicks, and even includes a live version of Martin’s “King Tut.” The album is up for a Grammy for Best Bluegrass Album. Martin and The Steep Canyon Rangers won ‘Entertainer of the Year’ at the 2011 International Bluegrass Association Awards. Now, to follow a year filled with honors and awards, this tour will include a stop at the Stagecoach Festival in Indio, California and close out with a two-night special event at the Symphony Hall in Boston, Massachusetts.